We continue to expand our ICAD® competencies – now with Frederik Tjellesen as CTO for our ICAD® products. 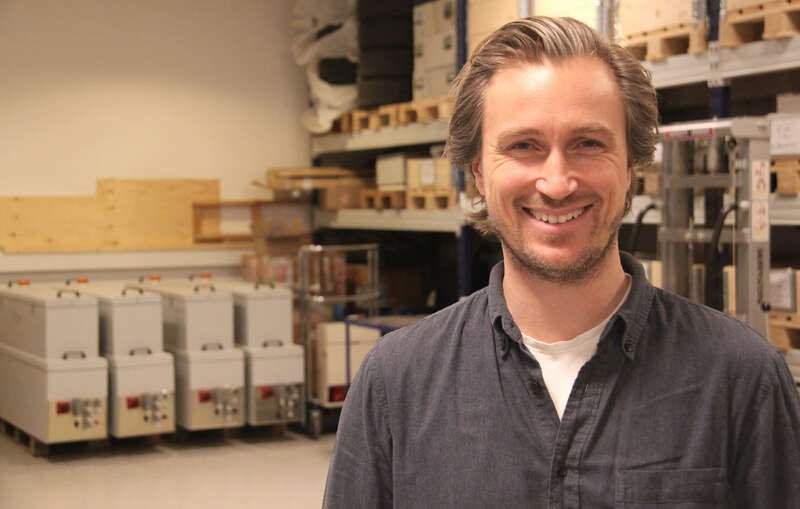 Frederik brings 14 years of experience from 3D printer design as well as the process of developing products all the way from idea to serial production. Frederik’s focus is to expand our product portfolio using our proprietary ICAD® technology, which enables safe and consistent processes. ICAD® is our proprietary technology enabling inline and automated power level adjustment for a uniform and specific power distribution over the full UV LED array. ICAD® offers the benefit of continuous monitoring during production. It increases quality, uptime and reduces the risk of producing waste, all while saving energy and eliminating ozone and mercury. We look forward to introducing Frederik to your next UV project. It is a great honor for EFSEN UV & EB TECHNOLOGY that Frederik Tjellesen has chosen to support our vision for safer end-user products. On September 25-27th the Bürkle Technology Center Freudenstadt in Germany will opens the doors for some exciting days about wood processing. We are proud to announce that W-LED with ICAD™ Technology will be demonstrated live during this event. Our 33 years of experiences with UV-solutions has brought our wood curing systems to a whole new level of user-friendliness and performance. Our proprietary ICAD™ Technology is an integrated part of the W-LED. The ICAD™ sensor measures exposure between UV LED and product on the full width, continuously and during production. On site from Efsen will be Matthias Robisch, Sales Engineer for the Central European market, as well as David Ivarsson our application engineer, who is a specialist in LED coatings. Please make sure you come and visit the Bürkle Forum. And should you be hindered then let us know how we can help you succeed with UV-LED. Contact us at efsen@efsen.dk. Register today at: forum@buerkle-technologies.com or directly on the website. We hope to see you at Bürkle Technology Center Freudenstadt!